I got the estimate for the breakfast room back from the drywall guys yesterday. Now, I’ve never hired out drywall before, so I honestly had no idea what to expect. All I did know is that people have been telling me for years now that drywall is one of those things that you should hire out because not only is it really cheap, but the pros can get in and get the job done in couple of days, where it would take a non-pro several days or even weeks. So when I got the estimate of $2600 for the breakfast room, I was definitely shocked. And he told me he estimated 20 sheets of drywall, and that the cost included an estimate of $1000 in materials. Ummmm…do I have the word “sucker” stamped across my forehead?! I may not do a lot of drywalling, but I’m not a complete novice at it. And I do know how much drywall costs. Twenty sheets of drywall at an average of $8 per sheet is $160. Right? Am I missing something here? What else is needed? Maybe two 5-pound boxes of screws at $50 each. A roll of seam tape under $5. A 5-gallon bucket of drywall mud just under $15. Sandpaper. Are they using some kind of new math they’re teaching kids in schools these days? So I’m a bit irritated. Yes, I know I should get more estimates. I very well may have another tree trimming situation on my hands. But getting estimates is such a pain, I’d just almost rather do the work myself. So now I’m weighing my strong distaste for (most) contractors against my strong dislike of drywalling. I’m not sure exactly which dislike outweighs the other right now, so we’ll see. One thing I can assure you is that I will not ever pay $2600 to have a room drywalled, even a room the size of the breakfast room. It was definitely a splurge, but every room needs a splurge item, right? (And no…drywall doesn’t count.) And I think lighting is such a good place to splurge since it makes such a statement in a room. 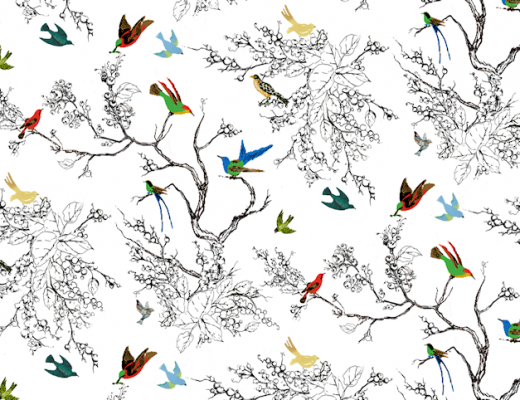 This will be beautiful over my dining table against the backdrop of the black stenciled wall! And I like that it doesn’t match, but it coordinates nicely with my kitchen ceiling light. Shelley, who found the discounted light for me, is also the one who found the stencil that I ended up purchasing for the breakfast room walls. Okay, now to answer a couple of questions that I got repeatedly yesterday. What about the butler’s pantry? Isn’t black on all four walls too much? Possibly, but I don’t think so. The fact is that the breakfast room only has one long solid wall, and even it is disrupted by a door. Almost the entire front wall of the room is windows (10 feet of windows on the 12-foot wall). The back wall has two big windows. And I removed half of the fourth wall to open the room up to the kitchen, so there’s really only the back half of the fourth wall left — the part which will create the cozy sitting area around the fireplace. Okay, I’m off to try to finish the kitchen today!!! No guarantees, because those final touches take so dang long, but if I can have a smooth, uninterrupted work day today, there’s a definite possibility that I’ll finish. I love that new light, especially in relation to your new kitchen! I think the new direction you’re going in with foregoing the butler’s pantry and the new ideas for the breakfast room are great, and so much more in line with your kitchen. We paid $600 labor to have someone drywall our 1,000 sqft basement. We bought the materials. I don’t remember how many sheets we used but we had 3 buckets of drywall mud, few rolls of mudding tape, screws, sandpaper and also needed the metal corner pieces. I know it was under a $1000 when all was said and done. That’s good to know! That’s more like what I was expecting. My son does drywalling here in upstate NY and here it costs $1 a square foot. That includes the materials. LOL. I ALMOST said that, Maggie, but then decided I didn’t want to open myself up to some big political/education debate on this post. But seriously, my 10-year-old niece is being taught common core math at her school, and that is some of the most ridiculous, convoluted math I’ve ever seen in my life. I think ours was around $5000 for a 3300 sf house and a 4 car garage! That was 5 years ago and a sheet was around $5.00. Now that you know how many sheets, call and ask for an estimate. If you find a reasonable one, they can then come out and measure the room. YES! That stencil is so much better! LOVE it and it’s not dizzy worthy. I mean, don’t get me wrong, I did LIKE the idea of the curvy one you’d found, but this is just that much better. And I love the incorporation of curvy and straight lines. Also, will you bring some of the green from the kitchen into your breakfast room in some way? That would be seriously dramatic the black versus green, with some white. Very elegant. Yep, there will be plenty of green in there. I love the new direction. I can’t wait to see the stenciled walls. Try getting bids for labor only, or let them know your estimated cost of materials so they know they’re dealing with someone with knowledge of construction costs. There has to be a better bid out there somewhere so you can avoid having to drywall yourself. Good luck, I can’t wait to see it unfold. Love, Love, Love that chandelier!!!! When we purchased our home a couple years ago it needed an enormous amount of work-it was a foreclosure that had been stripped of cabinets, fixtures etc.. Our kitchen is a little over 300 sq. ft. We replaced the entire ceiling and all the walls with drywall and our supplies were around $300. I would recommend that you hang the drywall yourself and hire someone to finish it for you. The only difficult part was the ceiling and we rented a lift for that, I don’t recall the cost, but it was minimal. Get a sidekick for a day and you are more than capable to hang it! If you decide to try it yourself it is worth buying a “Drywall screw setter” as well so that you don’t screw the drywall screws in too far damaging the drywall. Also, I think the black walls will look beautiful! Last week I painted my family room a very dark blue called “Jazz Club” and I love it. Your lighting choice is going to look beautiful! This is a great idea,since that’s the part of drywall you hate the most. If you need a sidekick,just let me know. I live south of Fort Worth and work a week on and a week off. We re remolding a over 100 year farmhouse where my husband grew up, and time working with you would be a such a valuable lesson for me. I know you don’t know me, but I fell like I know you. You are so inspiring and do such great work and you are till human. I just love you and what you do!!!!! (Waves hand). “Those are not the drywallers you are looking for…” Do get at least one more bid, maybe two. As someone who has hung, taped, mudded, and sanded drywall myself, I know EXACTLY how you feel about it. But it seriously looks like they were trying to take advantage of you. We got our whole house done for $1500. Of course, that was a few years ago, but still, labor and materials can’t have gone up THAT much! Did that include the ceiling as well? And were they going to do the demolition and cleanup? On a more positive note, I love the new chandelier; it does coordinate perfectly with your kitchen fixture. I’m beginning to catch the vision of the room. Have you considered painting the wing chairs a similar green as the kitchen cabinets? That would look really cool and bring some green into the breakfast room. They would be stunning against the black wallpaper! It did include the ceiling demo and cleanup. I’m not sure exactly what I’ll do with the wingback chairs, but I will certainly be bringing in several green elements into the room to tie the rooms together. We hung drywall ourselves and paid to have it finished. That is the smartest idea ever. Stealing it! Love the light. I’ve been wondering for awhile now if you couldn’t move that door between the kitchen and garage and have the door to the breakfast room in the storage room so it’s further down the wall and not so noticeable from the kitchen. Sounds like a contractor that didn’t want the job as I doubt anybody would take you for stupid (unless they are of course) – That is why I hate dealing with contractors myself and often will do things on my own. However there are exceptions and sometimes you find somebody that is just really great, just the people you have to go through to actually get to those is the bad part. Have you considered just putting a 2ft wide door, maybe a flat one painted to match the walls just right against the wall on the other side of the kitchen to get access from the breakfast room. You don’t need to make it wheel chair accessible and you can put stuff in front of it, but if it gives you access if you are going to store things there with less walking around. I’m glad to know I’m not the only one who hates getting estimates and dealing with contractors. I got an estimate for 22 sheets of drywall last week. I almost went into cardiac arrest. It was $2950. I have definitely decided to do the work myself. I’m no drywall expert but before I pay that much money I’ll figure out how to do it myself. I just love your blog and all of your projects. Can’t wait to see the black walls. I would love to have a black dining room but mine is small and dark so I have to keep the walls light. I’ll just live vicariously through you. How about creating a hidden, secret door to the pantry? If its too late to do it the kitchen because of you have finished tiling, you can still add one from the pantry room side. I hav loved the idea of a hidden door for years and I think you are the right person with the right house to pull it off!!! I know this is a little late but Pottery Barn (haha, your fave! 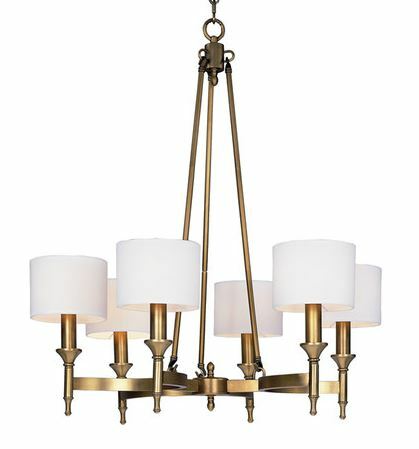 ;)) has a VERY similar chandelier that is on sale right now for $399. Why not get estimates for the part you prefer not to do as well as for the full job. If I were in this situation, I’d get them to hang only, since I’m type A and the biggest dissatisfaction is in taping, mudding, and sanding. Hmm. Was the contractor figuring a level 5 finish? Drywallers have lots of fancy new tools to use, like a gadget that muds and tapes at the same time, but really! Have you looked on Angie’s List? Or the new free one HomeAdvisor.com. I’m not an Angie’s List member, but I’ll check out that new one. Thanks! The new direction will look very elegant! As for the drywall estimate, I would ask for an itemization of the estimate. They need to break down the costs for everything individually, and you may be able to get the cost down depending on how much you want to do yourself. Did the price include demo? Are those walls insulated? Do you need any outlets moved or added? Just some things you may want to consider as you price out the job. The price did include the demo of the ceiling, and I honestly have no idea about the insulation. I told them that I didn’t need any outlets moved, and I also didn’t want them to work around any light fixtures on the ceiling. Just wanted a flat ceiling and I’d instal rework boxes later. I do think those prices were out of whack. Definitely get more prices and maybe a few not necessarily from a drywall firm. Some independent “home improvement” type contractors can do lots of different trades and wouldn’t mind taking on a small drywall job themselves and would do just as good of a job. If you were doing plaster over drywall, I’d say yeah…hire specialists, but sounds like you’re just doing taping and joint compound. Another thing to consider is to do some of the work or materials ordering yourself. For example, I don’t mind hanging the drywall, but I HATE the mudding-sanding-remudding-resanding process with every fiber of my being (probably because I’m lousy at it and it usually takes 4+ coats and it makes a royal mess). So if I were trying to save money, I’d purchase and hang the drywall and hire a guy to come finish it. In your case, sounds like you hate hanging it. 🙂 Maybe if you purchased the drywall and had Home Depot deliver it, then got quotes and said, “I already have the materials,” suddenly the quotes would come down. I’m always a little skeptical of included materials because they often just order from “their supplier” (who may or may not have good prices) and sometimes, they estimate using square footage of finished work instead of actually estimating from the cost of the materials needed. Don’t hesitate to ask for itemization and point out where you know they’re screwing you. I agree with other comments here, hang the drywall yourself, and just hire out for the finishing. Also, if there are any homes being built nearby, see if you can catch the guys who are doing that job. Some of them will take on small side jobs at night or weekends. We’ve found drywallers, plumbers, tile guys and concrete finishers like that. We even paid the builders’ roofers to clean out our two story gutters once! Cash offers are appreciated! My Uncle is a drywaller and my father was a heating and air conditioning man. Both have said that when you get a high estimate for a small job it is because the person does not really want the job. But will do it for an inflated fee. I highly suggest looking around and check Craigslist. Some jack-of-all trades do a fine job with drywall and will do it very reasonably. I am so excited about the breakfast room. I am fully onboard with the black walls. I think having all of the white tile in the kitchen will help keep it from looking like a cave and a fireplace on the end wall will be sooooo cozy! How beautiful this is going to be. I also like that you have decided against a butlers pantry. I do have one between my kitchen and dining room and I love it. It works well for the layout of my house. But I think I like that you will have a sense of elegance and formality from the living room through the music room and into the kitchen/breakfast area. I think that having a more informal look with the clapboard or shingles will work wonderfully in the family room when you redo it. I think you could easily create a country elegant family room that will be a little less formal but work with the rest of the house. And how sweet of Matt to add to your lighting. You are a very loved wife! LOL Looking forward to seeing this come about! We got our 400 sqft room with vaulted ceilings and closet done for $1,400……that includes labor and materials! I was hoping that you’d chose that chandelier. It’s gorgeous!! hi kristi, I would definitely got more quotes. But this time I’d been very specific about what you want done. Send out a message on social media looking for a contractor/drywaller, someone in your area might know someone. I have done that with good results. Especially if you mention how you got their name. Ask the contractor if you can purchase the materials yourself. Also doing your own demo will keep costs down. I love the light and think it works beautifully with you direction. And the stencil is also beautiful especially when you paint with the two blacks. I can’t wait to see how that turns out. I looked at your floor plan and wonder if you could remove your door to the garage to your storage room. Then that room could be used as a mud room plus storage. Have you considered having the doorway into your closet on the bedroom side rather than the bathroom? So glad you changed your mind about the walls in the breakfast room! I love the drama of black walls, especially with the stencil and color on color. Yay for Shelley and Matt! SO glad you will get the chandelier- it’s a must have! Maybe you and Shelley can help me find unique, affordable light fixtures for the sides of my garage door. My house is so dull. Hi Kristi– I must chime in with the others who say that you should hang the drywall yourself and get someone to tape and mud. My hubby and I did that for our entire basement (ceiling and all) and true it was a pain but it is just grunt work. Have Home Depot or Lowe’s or another local store deliver however many drywall sheets you need and then just plug away at it with a helper. We found a local guy here in NJ (we call him Joe the Taper) who came to our house 3 afternoons in a row after getting off from his regular job to do ours on the side. $400 in cash if we bought all the materials (and he insisted we did not pay him until he was finished and we were happy)… and man was he FAST! and incredibly accurate! What he did in an hour would have taken me at least 3… then I’d need to sand like crazy. He barely sanded at all. So for this type of thing we figured it really is an art… let a pro handle it. Look in your local newspapers or search craigslist and I’m sure you’ll find someone reliable and professional. Good luck! Love your choices! 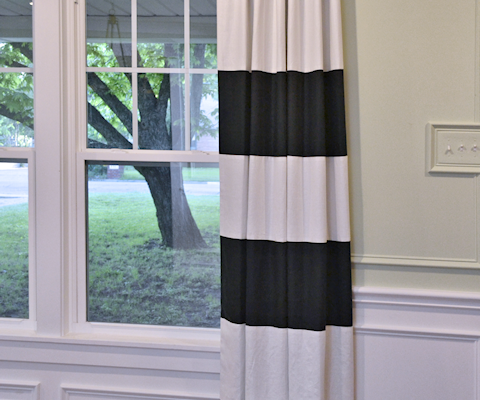 Now that you have your walls, I can’t wait to see the textiles you will use in the breakfast room! I love the stencil! 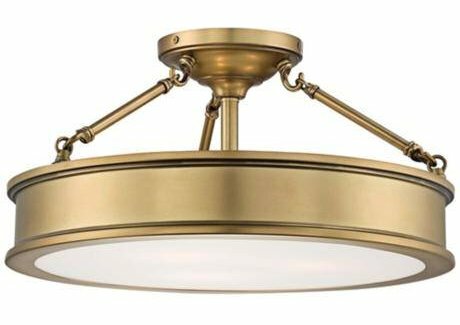 The light fixture is interesting and will make a dramatic statement in the room. Kristi, so glad I could help you out yesterday! The stars were definitely aligned just right for Joss & Main to be offering that chandelier yesterday right when you were wanting it. Anytime you need my personal shopping service, just shout, it’s much easier spending someone else’s money! Maybe I can send you a “what would Kristi do” dilemma sometime for payback. Love watching your house evolve!!! I agree with the others. Hire a sidekick & hang yourself & buy all the materials. Pay someone to finish off. Ask around for referrals in your area. Love the light and stencil. wow about the drywall. If you do end up doing the drywall yourself……please do yourself a favor and rent a drywall lift. Especially if you’re doing your ceiling. When we did the addition to my sewing studio (16×24) we rented one for the ceiling. It was $20 to rent it and we were done in an evening instead of have to build dead men and hurting our neck etc. It’s so easy to use; you just crank the wheel and it lifts the drywall. As always, keep up the good work and keep up inspiring us. The chandelier is beautiful! It’s best to get the one you have your heart set on. Have you thought about what will go on the windows? I’m wondering what will look best with black walls. People rely on us to fall for their BS stories. You are way too bright to get caught by that, Kristi. I was the general contractor on our basement finish project 3 years ago. I went to a drywall company to get an estimate for drywall and they gave me the name of a drywall contractor that works for a home builder here. He charged us $2,200 for our entire basement, family room, bedroom, bath, closet and laundry room. He also referred us to a door/trim contractor and a framer. The reason I’m telling you this is all these contractors who work for home builders do jobs on the side…see if you can be referred to someone by calling a company who only does drywall, not a big box store. He bought our drywall on his builders discount. When they did the drywall the hangers were different guys from the ones who did the taping and mudding so there were about four different guys who worked on our drywall project. I think your choice for the breakfast room are phenomenal! It’s a creative and classy style. 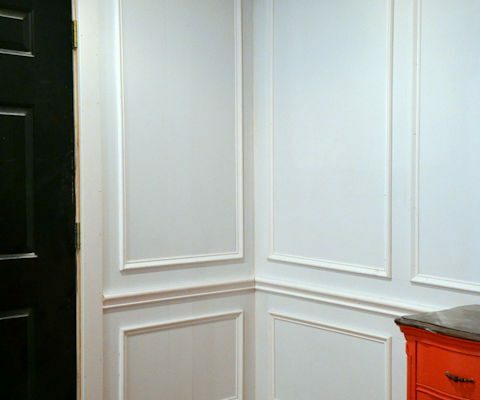 Have you considered hanging your own drywall and hiring a pro to finish it? We did that for a remodel which worked well and saved us money. I absolutely love your blog. Thanks for being such an inspiration! Kristi, I just love the Chandelier you chose for your breakfast room, it’s going to look so elegant and I really love the black on black stencil design for the drywalls. It’s really going to compliment your amazing kitchen. I can’t wait to see it come to all together. Kristi, that is the kind of math that adds up to a 40k$ kitchen renovation like I just paid for last year. its why your skills and hard work in doing what you do so capably are so awe-inspiring for so many. I am getting the courage up to sand and paint doors and figured out how to change hardware too! Gonna refinish some floors too. You have taught me so much and I think I can do it! Thank you! Lol! you’re right of course it’s worth giving it a go isn’t it!? I can always hire someone to fix stuff I attempt if it goes totally sideways! Personally, I would move the laundry room and storage to the other side of the Family Room with an opening to the laundry room into the Master Bedroom where most of the laundry is generated. Love the progress you have made so far! Last year we got a $2000 estimate just to FINISH the drywall in ONE bedroom…from the same guy who had done our whole 1st floor at a reasonable price a few years ago. People who do drywall for a living hate doing small, one-room jobs, so they will charge accordingly. We found out that our framing carpenter was willing to hang AND finish the drywall for $800…he would have been even cheaper but the room had all kinds of crazy angles and sloped ceilings (the reason I didn’t want to do it myself). He did a fine job…not as perfect as the drywall guy would have done, but for that much savings, I didn’t mind fixing a few rough spots before painting. There are lots of handyman/jack of all trade types out there who can do acceptable drywall work (I found out later that our county sheriff actually does drywall finishing on the side because he ENJOYS it, LOL!). If you start asking around, you’ll find someone. Good luck! I vote hang drywall and let someone finish it…great idea finding drywall contractor on nearby job. But I have another thought that is bothering me…..now that you have eliminated the door from the breakfast room and just need storage not connected to the kitchen, is it possible to move the laundry and storage to the opposite wall in the family room. It would be great to have access from both the hall leading to the master bath and the family room for your laundry room. Save you lots of steps and keep all the dirty towels and cloths where they belong in the laundry room. Your breakfast room will be fab in black! Love the kitchen, great job. And don’t be too hard on yourself weight wise, we love you the way you are or the way you want to be. Either way you are the Kristy we love. Get another estimate, just call a bunch of drywallers so that you get all the estimates at once. I bought a house about 5-6 years ago that had a bad roof that I replaced and needed some drywall replaced. I needed three ceilings and 4 walls replaced. First company came back with $8,000 estimate, including $5 to pull a shower rod down (spring rod) and another $5 to put it back up, $50 to move a toilet which they didnt even need to move and $3 per tool per day to clean afterwards because there was some standard harmless green mold in bathroom ceiling where it had been leaking… Not to mention they wanted tons of money to quarantine off the bathroom because of seriously just a 1ft by 1ft patch of green mold where the ceiling had leaked. In comparison, the roof cost me about the same as that estimate wanted. Got another drywaller in who did it all for $300. I would highly recommend not doing it yourself. I tried to do it later on with a pony wall and replacing showers with cement board. Wish I had just paid someone to do it, so time consuming and annoying not to mention I couldnt get down the mudding technique right. I decided to never do drywall again and just pay for it from here on out. It is annoying to get estimates but its way better than trying to do it considering how cheap it is to have someone else do it. In my area I’ve found that labor usually equals cost of materials. Ask around, use social media, reach out to friends, & check out construction sites for someone who would be willing to take on a side job. As for ceiling demo, cover the floor with a large tarp, garner a couple of crazy girlfriends, bottle of wine, snacks for energy, upbeat music & go for it! Make it a demo party! When all is down, roll up tarp with trash & all drag out to curb!! Have fun!!! Loving everything you’ve done so far!! 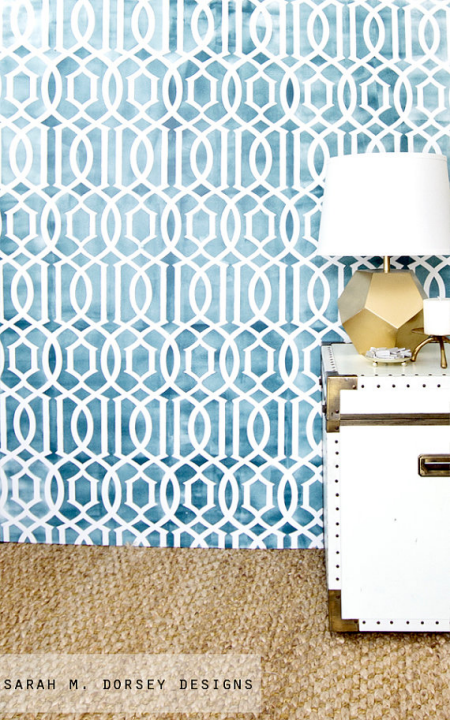 Keep going & your house will be functional as well as glamorous ! love the new chandelier! the take dowm put up and let them spackle and sand is a great idea. can you get a high school or college kid to help you take down the ceiling? that way he can throw out any surprises!!!! 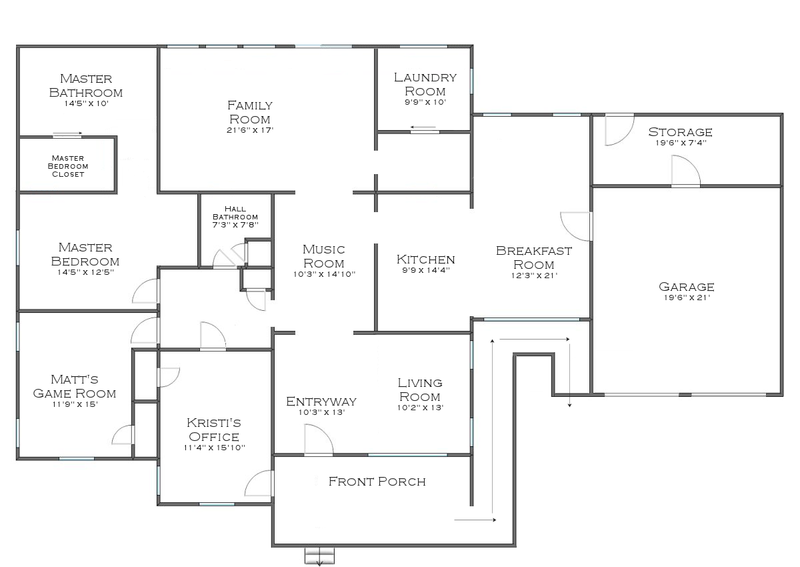 Kristi, does that laundry room in your plan absolutely have to be on that end of the family room? Seems like for plumbing purposes, it might be wise to have it back onto the hall bathroom on the other end. Most of our laundry comes from our bedrooms/bathrooms, after all. So laundry rooms being nearer to the source of stuff to launder seems to make more sense. Just my 2 cents worth. I’m in complete awe of your skills and style! Wondering, will you have smooth drywall, or will you do a textured wall? Asking because of the stencil…I am leaning toward not liking textured walls so much anymore, gives you such a nice surface to stencil on. Was curious your opinion? They’ll be smooth. It’s so much more difficult to get a straight, clean edge on a textured wall.